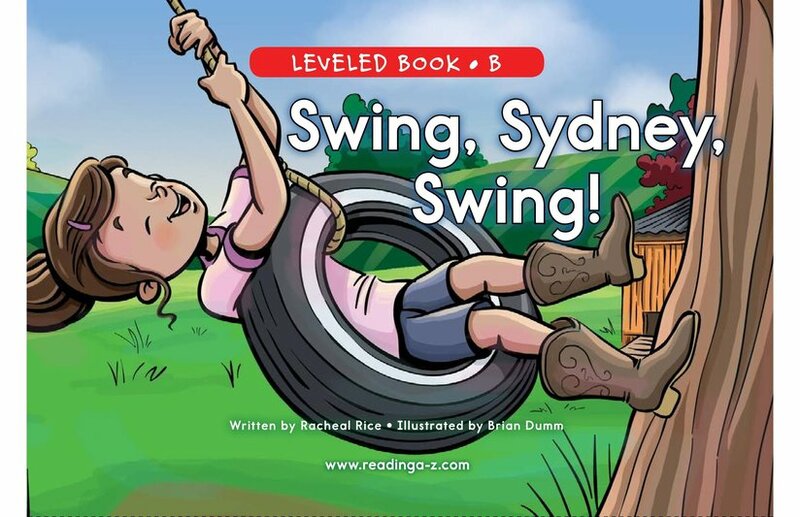 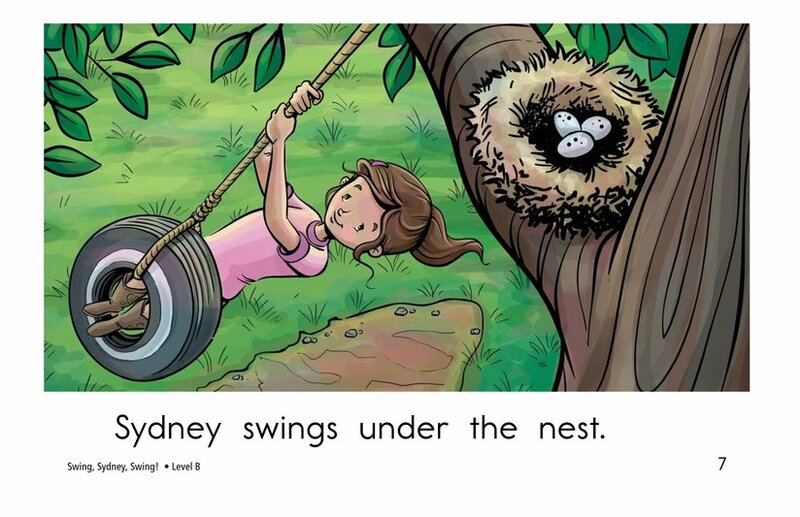 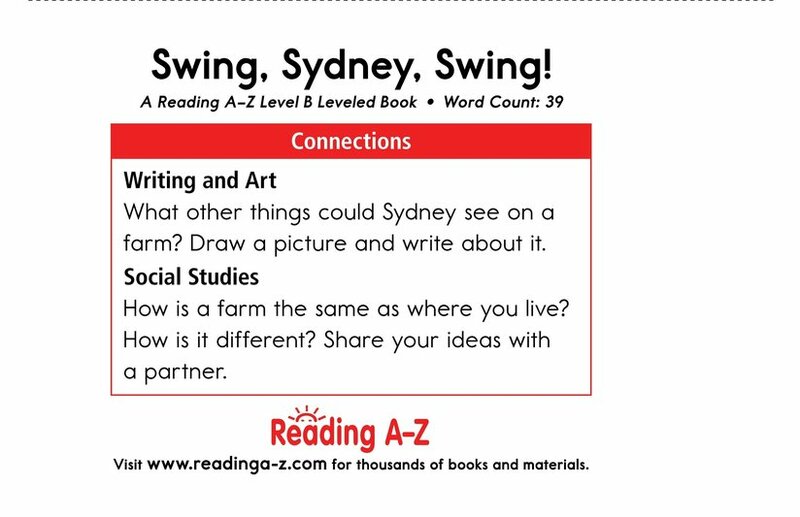 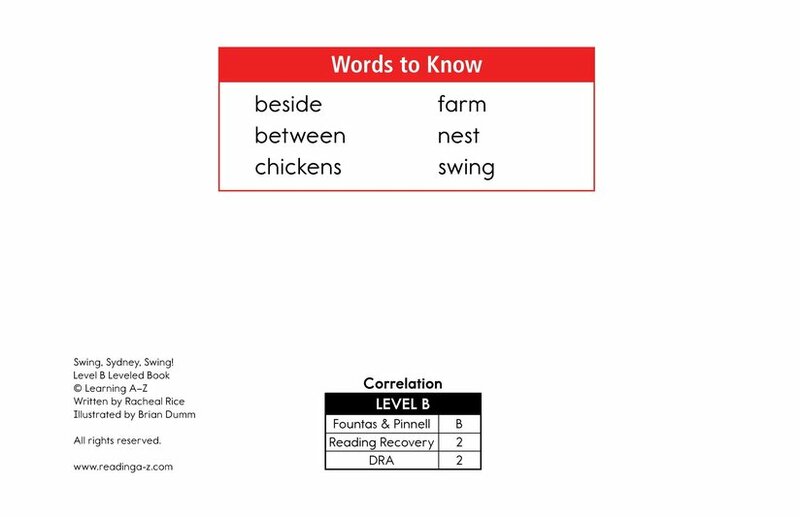 > Books > Leveled Books > Level B > Swing, Sydney, Swing! 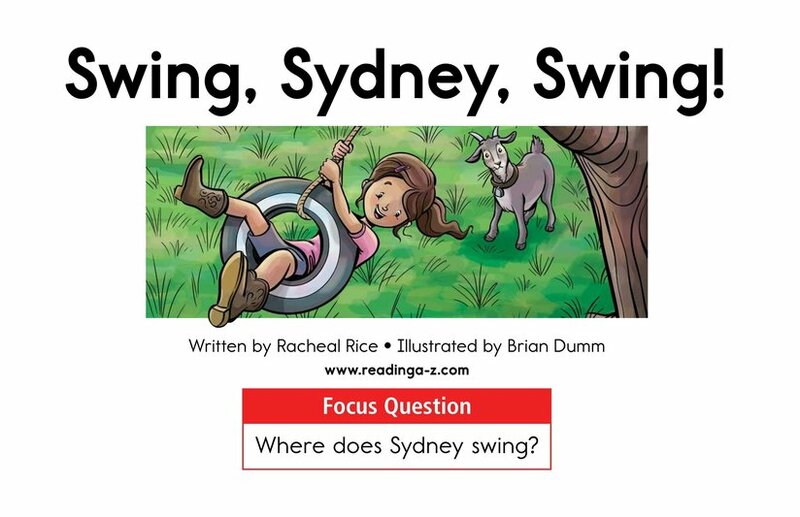 In Swing, Sydney, Swing! 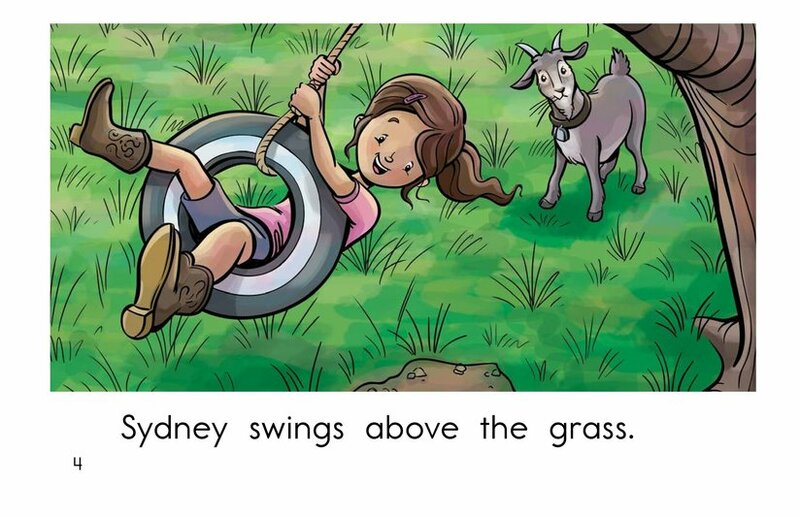 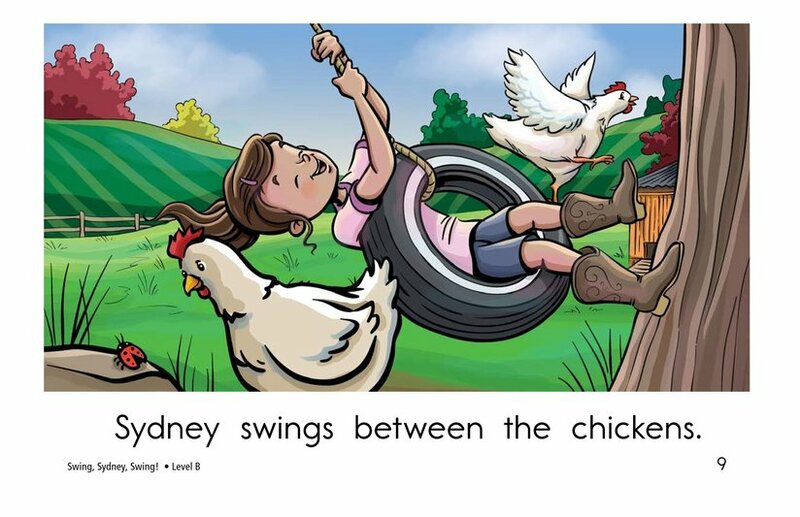 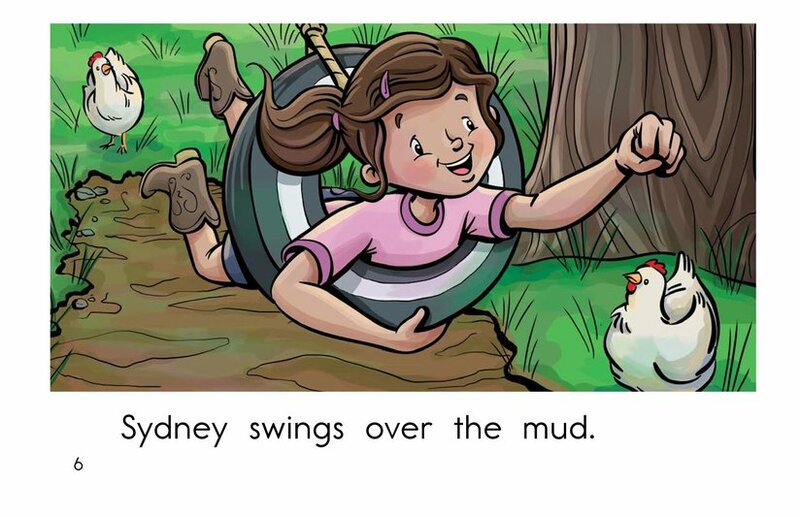 readers will enjoy a delightful story about a girl who sees many things as she swings on a farm. 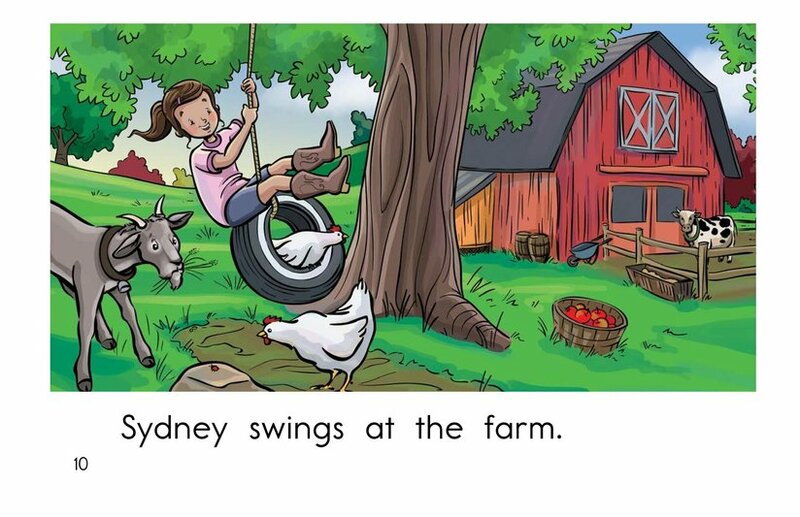 Simple sentences, colorful illustrations, and high-frequency words offer support for early emergent readers. 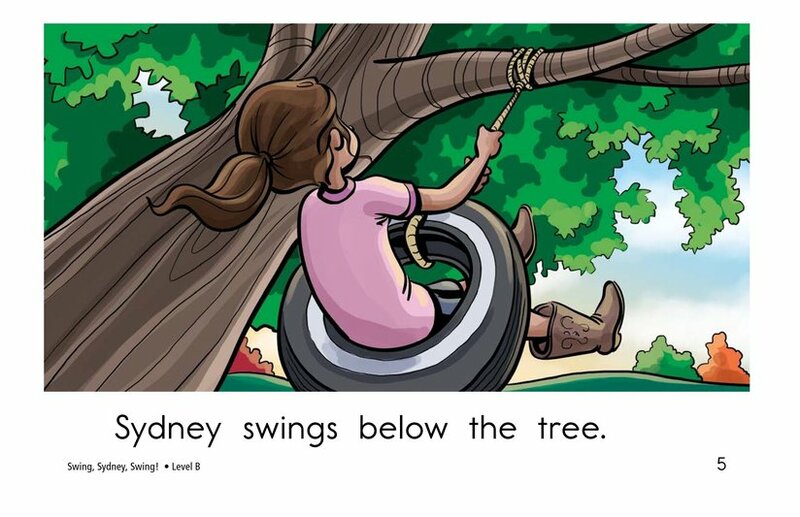 Students will have the opportunity to identify the setting while visualizing as they read. 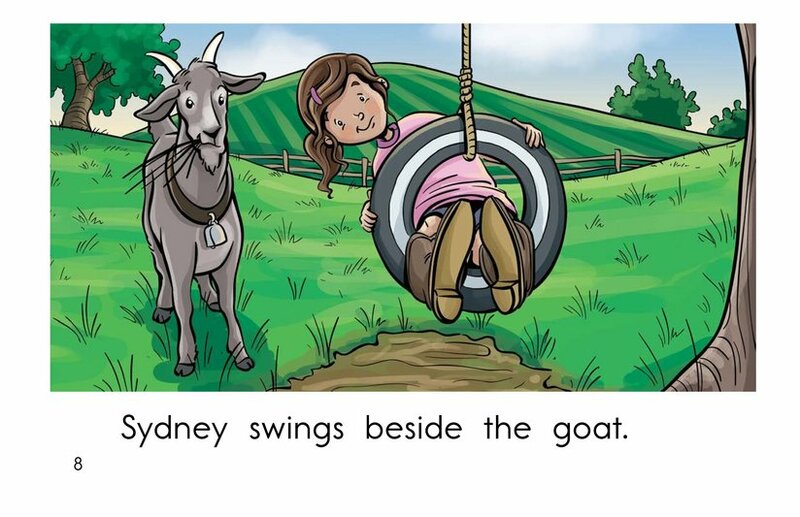 They will also identify and use a variety of prepositions.